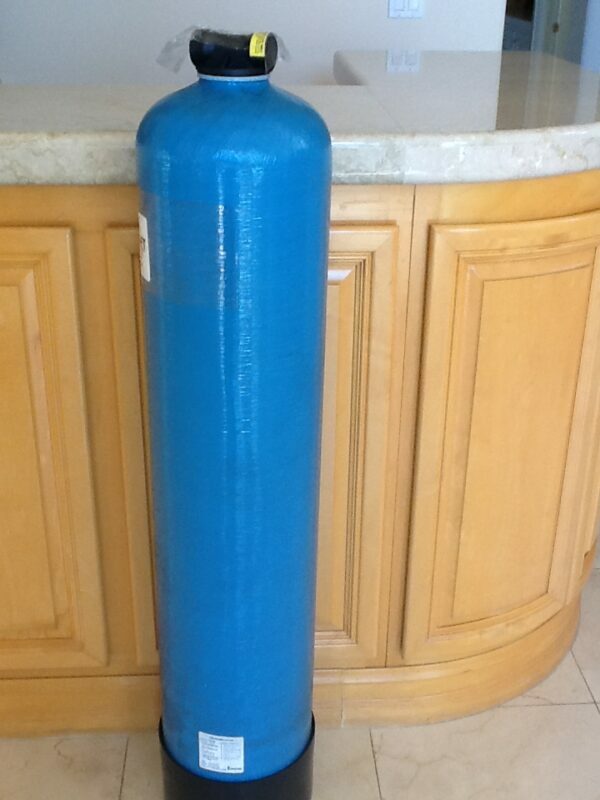 Whole House Hardness Water Filter Plus works on high hardness and 600+ contaminants! Large size. Another breakthrough configuration with brand-new technology to deal with hardness (April 2015): This is the great two-media, one-tank whole house filter (WHCC) for hundreds of contaminants including chloramine, teamed with a tank to deal with the problems of high hardness – with the addition of a pre-filter. Media in the first tank lasts for 500,000 gallons! Media in the second tank lasts for 350,000 gallons! 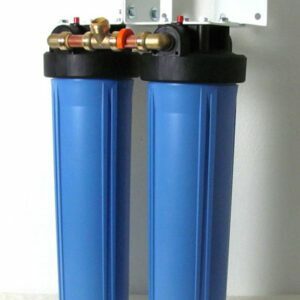 Whole House Hardness Water Filter is for municipal water systems. Will address hardness above 8 grains. Versions are available for where chlorine is the disinfectant and where chloramine is the disinfectant. The first tank uses the great new media: TAC (Template Assisted Crystallization) media. The beneficial minerals – calcium and magnesium, etc. – remain in the water! The use of the patented Foam Advantage kdf cubes in the second tank allows kdf and carbon to work together in the same tank. This combination works far better than other whole house filters priced in the same range. It requires no regular maintenance during its lifetime. 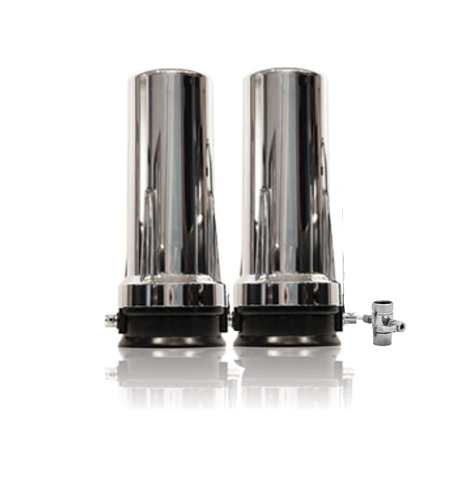 The result is increased filtration and long-lasting filtration. There is no need for a backwash head. Check your water bill to see how much water you use in a year. Most of our customers average about 90,000 gallons a year. 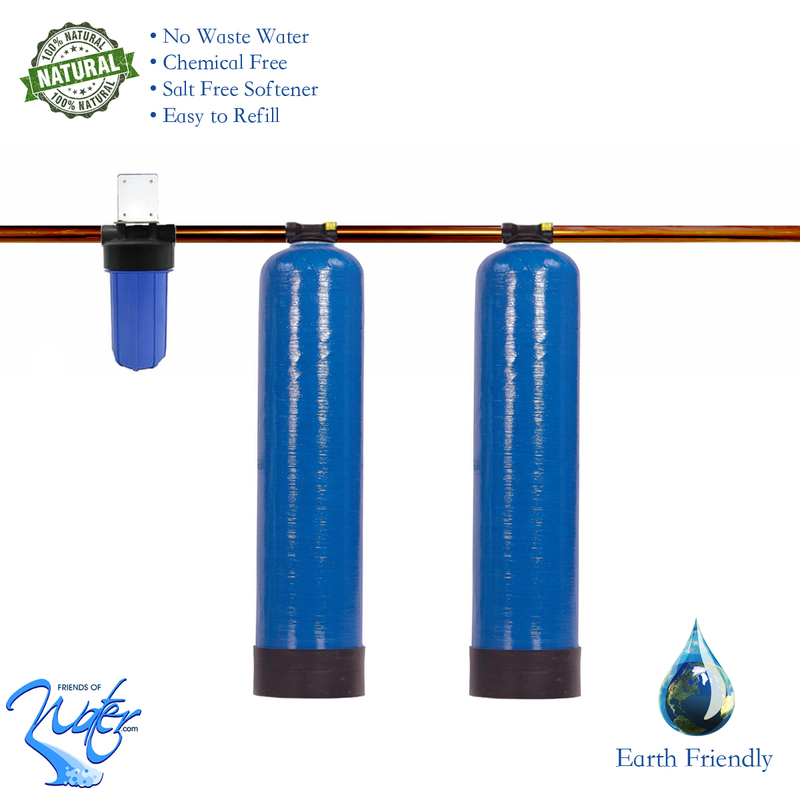 Delivers better filtration than many filters priced several hundreds to thousands of dollars more! The first big tank resolves the issues caused by hardness without the use of salt. No maintenance other than changing the media after some years. 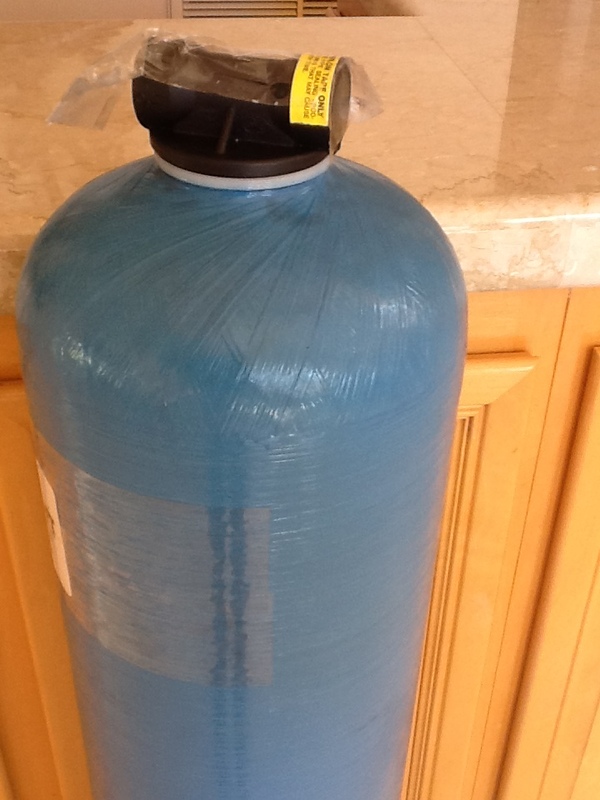 The second tank has Foam Advantage kdf and granulated activated carbon. 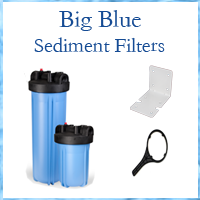 Filters chlorine and over 600 other contaminants. Look on the internet for “(Your town + state) Annual Water Quality Report” or call the number on your water bill and ask them if the disinfectant is chlorine. The patented process for preparing the kdf means it works far better and longer – than kdf without that process. The wide-spectrum filter tank will work on the other categories of contaminants that are found in municipally-treated water. Included in this Whole House Hardness Water Filter bundle is a sediment pre-filter. 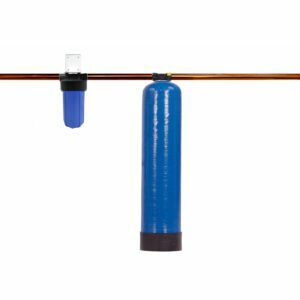 How often you need to change the sediment filter inside varies greatly based on how much sediment is in your water. If the water flow slows, swap out the pre-filter. Normally once a year is good. WHAT DO THE FILTER MEDIA WORK ON? The pre-filter takes out particulate matter. It is to make sure your more expensive filter media isn’t used up unneccesarily. Tank one takes out scale caused by hardness. Tank two: Contains the best media proven to remove hundreds of contaminants including chromium, chlorine, chlorination byproducts, lead, heavy metals, asbestos, iron, hydrogen sulfide and hard scale. The kdf takes out heavy metals and chemical-based contaminants. The carbon removes organic contaminants. 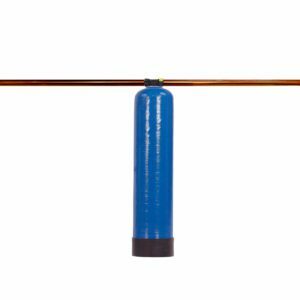 SEDIMENT FILTER $15.95 Maybe once a year; if water slows sooner, swap out then. The carbon and the kdf used are certified by the NSF – as are all the media we use in kitchen cartridge and whole house filters. Water Flow: 10 to 12 gpm! That’s really good! Dimensions: Two tanks, each 10″ X 38″. Prefilter is 10″. Install instructions are sent with the unit. However, all the plumber needs to do is cut the filters into the water line, leaving a bypass line for when the filter media is being changed. It takes time; but it’s not complicated. Refilling every few years isn’t hard, but it is a bit awkward and can take a little time to get the used media out. Email us at [email protected] or call us with questions toll-free at 866-482-6803. If we don’t pick up, leave a message and we’ll be back to you soon. At the latest, we’ll be back to you the next business morning (Pacific time).